​As founder and director of Georgia Academy of Dance & the Performing Arts, Sherri Davis exudes her passion for dance & the performing arts through teaching aspiring artists who desire to learn the joy of movement. With a combined total of over 30 years of experience as a professional dancer, choreographer and dance educator, Ms. Davis has taken her professional training and experience and promoted her art form in a variety of genres such as opera, theater, classical ballet and contemporary. At the age of 13, Ms. Davis received a full, residential scholarship to the Tidewater Ballet Association of Virginia where she left her home to study dance full time. Additionally, she trained with Mississippi Ballet Theatre, Joffrey Ballet of New York, School of American Ballet of New York, and the Pennsylvania Ballet under full scholarship. Ms. Davis has also received a scholarship to the prestigious school of American Ballet Theatre of New York. Ms. Davis has performed with such prestigious companies as Georgia Dance Theatre, Mississippi Ballet Theatre, Richmond Ballet, and Virginia Ballet Theatre and as a guest artist with various companies and venues throughout the Southeast. Additionally, Ms. Davis has been a guest artist with the Virginia Opera, the Virginia Symphony Orchestra, and the Atlanta Symphony. As Artistic Director and choreographer, Ms. Davis has re-staged and choreographed full length ballets, contemporary works and created original works for the stage with critical acclaim. These works include her original full length ballets such as Peter Pan, Alice in Wonderland and The Three Musketeers. In the 2011-2012 season Ms. Davis presented the world premiere of her original full-length ballet West Side Story – to a sold out audience. In addition, in the 2012-2013 season, Ms. Davis created her original version of The Hunchback of Notre Dame to a sold out audience. In the 2015-16 season of the arts, Ms. Davis presented her original ballet Jane Eyre - based on the timeless classic novel by Charlotte Bronte'. In such high demand, Jane Eyre was presented in two separate performances to their patrons. Ms. Davis has also written and produced the original full length ballet – The Growing Up of Annabell Potts– a story of a young girl growing up in the South with the knowledge of war soon approaching her homeland. As a contemporary choreographer, Ms. Davis has created original contemporary works such as Trio, Angels, The Rock Ballet and Resurgam,as well as producing 27 seasons of contemporary and early childhood productions for Georgia Academy of Dance & the Performing Arts. Believing that dance can bring courage, perseverance, and self-esteem to any child, Ms. Davis strives to offer a positive and challenging environment for every budding artist to achieve his/her highest potential. 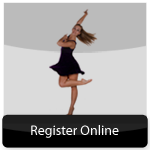 To help attain this goal, she established the non-profit company, Georgia Dance Theatre, in 1990, to offer an avenue for those who are interested in pursuing a more serious place in dance. 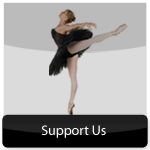 This scholarship program provides over $165,000 annually to educate serious and talented dancers as well as providing an arts education to the community. For its excellence this performing company has received funding from the Georgia Council of the Arts and as its Artistic Director Ms. Davis has been commended by the Georgia Council of the Arts for her professional experience and for upholding artistic standards in the arts. 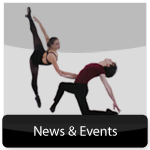 Students of Georgia Academy of Dance & the Performing Arts and Georgia Dance Theatre artists have received scholarships, acceptances and invitations to join professional companies from all over the United States and abroad. Additionally students and artists have received scholarships to prominent colleges and universities for their artistic abilities. Many of her alumni have careers in the performing arts as professional dancers, educators, choreographers, actors, directors and arts advocates. In 1996, Ms. Davis established Georgia Dance Theatre Professional Company, for those continuing their dance careers on a professional level. And in 2006, Ms. Davis extended Georgia Academy of Dance into Georgia Academy of Dance & the Performing Arts – to include additional forms of arts education. Ms. Davis serves on the Board of Directors of the Fayette County Chamber of Commerce and is a member of the Chairman’s Investors Group of the Chamber. She was selected for Chamber leadership for her influential leadership qualities as to foster growth and vibrancy of the arts within the local community. In addition she serves on the Government Affairs Committee and has served on the Board Member Selection Committee of the Fayette Chamber. She serves on the Place Committee of Fayette Visioning. In addition, Ms. Davis is a partner with the Fayette and Coweta County Board of Education Mentorship Work Study Programs and is a member of the Coweta County Chamber of Commerce. Ms. Davis is the Artistic Director of Georgia Dance Theatre and she serves as the CEO of The Dancer’s Boutique, President of Davis Land Development & Consulting, Inc., and Managing Member of Davis Properties, LLC. 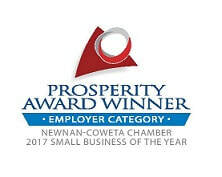 In 2017, Georgia Academy of Dance & the Performing Arts was named Small Business of the Year in the Employer Category from the Newnan-Coweta Chamber of Commerce. In 2018, Georgia Dance Theatre, performing company of Georgia Academy of Dance & the Performing Arts, received a $10,000 grant for its excellence in the arts, arts education and arts presentation in the communities that we serve.